How are Your New Year’s Financial Goals at the End of January? You might have started the year with big lists, ambitious goals, and a wheelbarrow full of inspiration. Some of those goals were probably related to your finances. Now it’s the end of January. Momentum is harder. Progress has slowed. You’re tired. Time for a break, right? What if you don’t take action today? In fact, what if you don’t take action this next month, or even the rest of this year? What if you just defer it and continue with life as usual? What will happen? In those quiet moments in bed at night, when you’re trying to sleep, will you feel less stress about money if you don’t do anything? Will you make progress towards your goals if you don’t get on top of your finances? If you share money with someone else, will that relationship improve if you don’t talk about finances together? When you imagine yourself in five years, will you be happier if you don’t apply effort to manage your finances? It’s hard to imagine how anything will be better if you’re not making progress toward improving your relationship with money. Knowing where your money is going, spending within your means or paying down debt. The relationship gets better. The goal isn’t that your money owns you. It’s the reverse. You own your money, you’re in charge, and you can see that each day brings a bit of progress toward improving that relationship. Money matters because life matters more, and if you’re in charge of your finances, everything else in life is easier. The only way you’re going to keep making progress is if you decide to make progress. Our motivation easily begins to wane at this point in the year. Maybe we were too ambitious with our goals. Maybe we realize progress will be more difficult than we first thought. Maybe we’re losing hope. From our view at Tiller, we know that anyone can make forward progress. Absolutely anyone. No matter how big of a hole you’ve dug and no matter how distant your goals. It’s not overnight, and it will take work, but anyone can make forward progress towards the future they want. You, however, have to decide that you want to do it. You have to decide that the status quo isn’t acceptable. That losing ground won’t cut it. Most people in this world have no idea where their money goes. You have decided you want to be different. You want to own your destiny. When your motivation wanes, make a list of your five next steps. What do you need to do? What are five small (ideally a half hour or less) steps that you can take? I bet you can list them out. Read over your list. Maybe you thought of ten things you can do! Then pick one and do it today. Pick another for tomorrow. Make your way down that list. Then rinse and repeat, come up with a new list, and keep moving. Writer’s block? We can help. 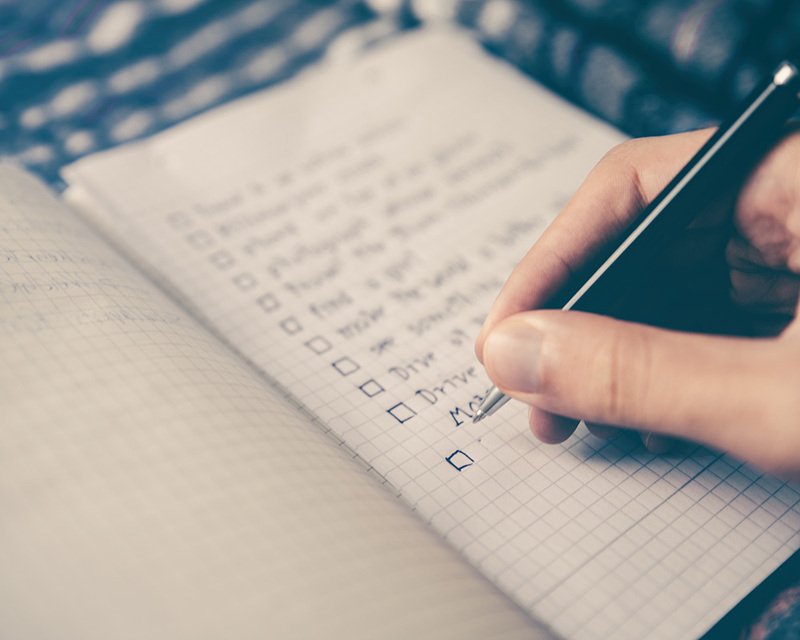 What if you don’t even know what your list of five next steps should be? Then drop us a line. We will help. We’re so motivated to get everyone moving ahead on their financial goals for 2017, and we’ll suggest a few. Just click our support chat tool in the lower right corner and ask for help with your next steps. You’re the financial athlete. We’re here to support your progress. 2017 is your year! Make it awesome. We know you can.